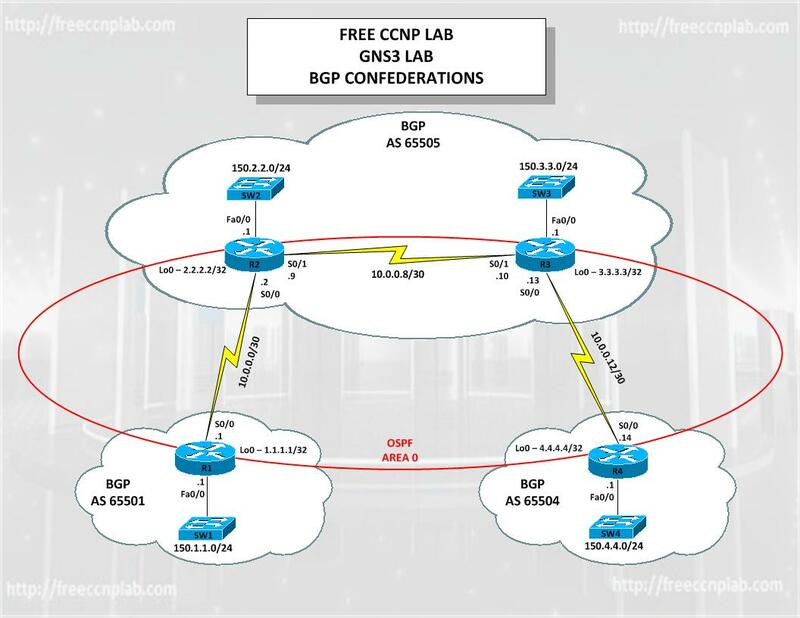 In this free CCNP GNS3 lab we will be exploring BGP confederation as well as some filtering using prefix-list and route-map. In this lab the company, AS 65505 consisting of two routers running BGP in the core, and is connected to 2 ISP’s – AS65501 and AS6504. Each router has a loopback which will be advertised. R1 is 1.1.1.1; R4 is 4.4.4.4 and so on. All iBGP and intra-confederation peers will be peered using the loopback IP addresses. Understand and configure BGP confederation. Use Loopbacks as the update source.